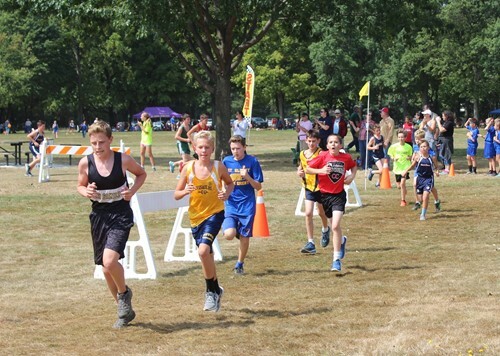 Cross country, or commonly known as “XC” to the running community, is open to children in grades 3-8. Beginning in August, the team meets twice a week for practices at local area parks. They run as a team, varying from 1-3 miles, depending on age. Races, or Meets, are held beginning in late August through October, and are held at various parks throughout the diocese. Races are divided into groups based on grade level and gender. The race courses are usually a combination of trails and fields (no tracks or roads), and everyone gets to participate. No prior running experience is required.